Does the challenge of teaching a “Christian Worldview” to your children, leave you feeling a little intimidated? If so, you’re not alone. I think most of us trying to parent from a biblical perspective feel the pressure of an increasingly vocal culture. I recently had occasion to talk to some students about the subject and part of it included a simple object lesson you may want to try at home. Step 1: Take a clear glass and pour a random amount of water in it. 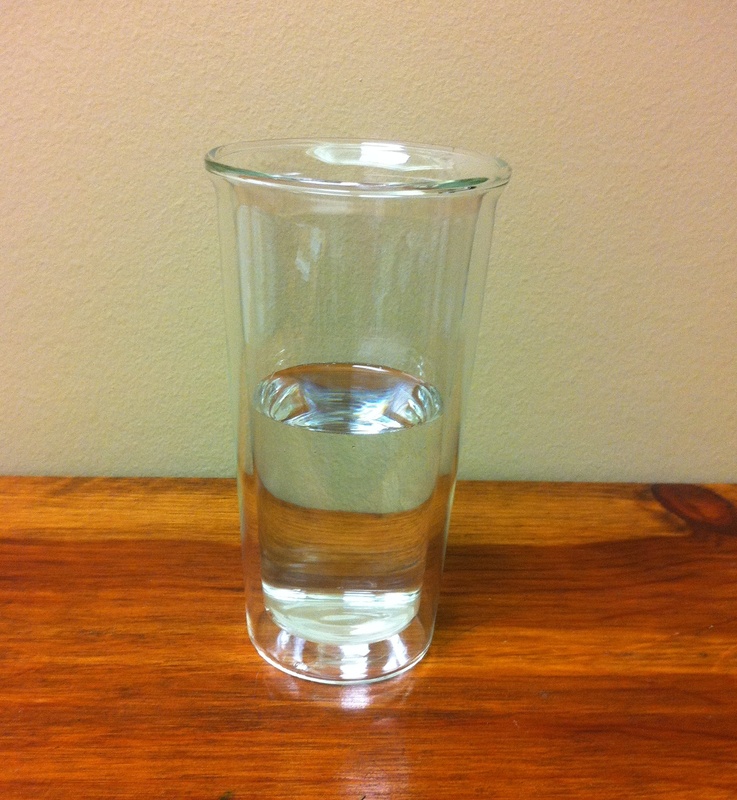 Step 2: Ask everyone to guess how many ounces of water are in the glass. Step 5: After measuring and determining the actual amount, the guesses will prove to be close, right, or way off. We must remember that “right” and “wrong” is defined by God. Simply put, what matches His character (as revealed in the Bible) is “right” and what doesn’t is “wrong”. That may sound trite, but we can unintentionally pick only those things in the Bible “we’ve kept” to add into our ethical code while skipping over what we haven’t. And just to be clear, it’s not an exercise in legalism, but one to illustrate God as the sole Person to define morality and acceptable behavior. Even in this enlightened age, He’s not lowered His standard, but graciously offers us a way to reach it…in Christ. This entry was posted in Christian Life and tagged Bible, Christian, Christian Life, Christian Parenting, Christianity, Devotional, faith, Leadership, Parenting, Pastors. Bookmark the permalink. I am so thankful to have had an absolute measure in the Bible by which to raise my children. If I had to rely on my own wisdom, I would’ve failed terribly. The truth of God, outside of ourselves, gives us an unshakable foundation. Thanks for this post! I completely agree. Thanks for your comment!